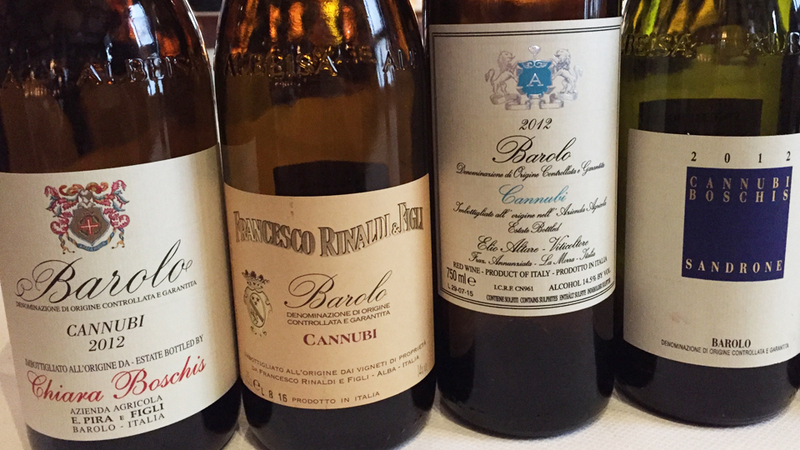 Held this past February, La Festa del Barolo brought together producers, sommeliers and wine lovers from around the world for a memorable weekend of wine, food and conversation. 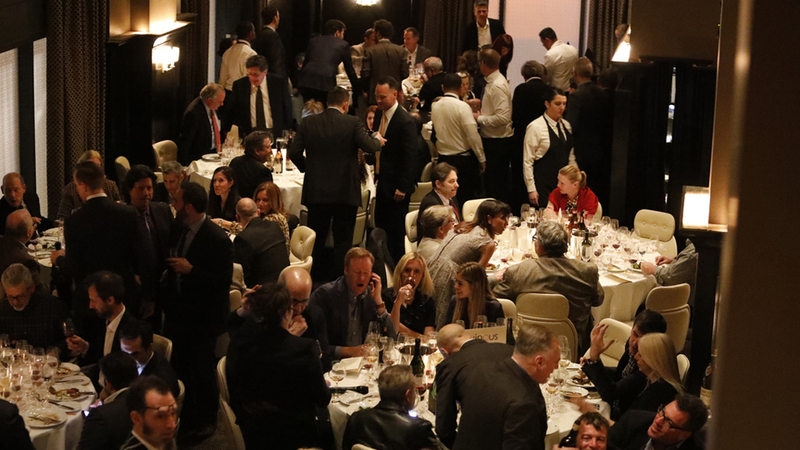 Guests shared an unreal number of rare and collectible bottles at the Gala Dinner, while the 2012 Barolo Masterclass provided a great opportunity for attendees to taste new releases while hearing directly from the growers in an intimate and highly interactive setting. Del Posto proprietors Mario Batali, Joe Bastianich, Lidia Bastianich and their team pulled out all the stops to help make La Festa del Barolo a great success. 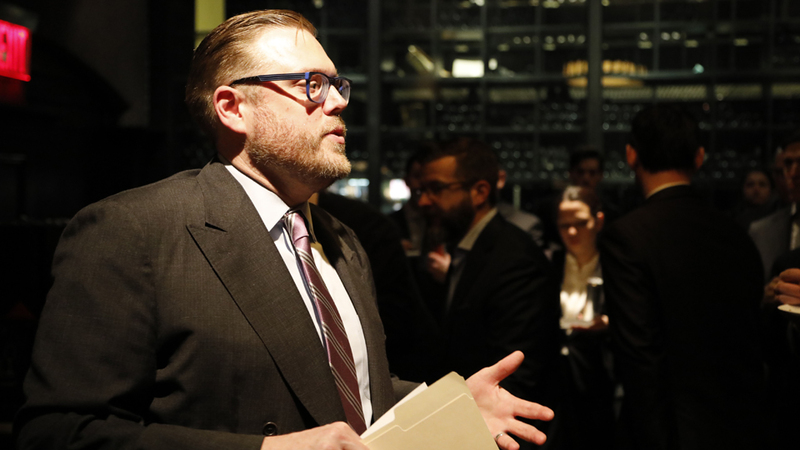 Jeff Porter, Wine Director for the Batali & Bastianich group, and a group of this country’s top sommeliers did an exceptional job with wine service at all three events. 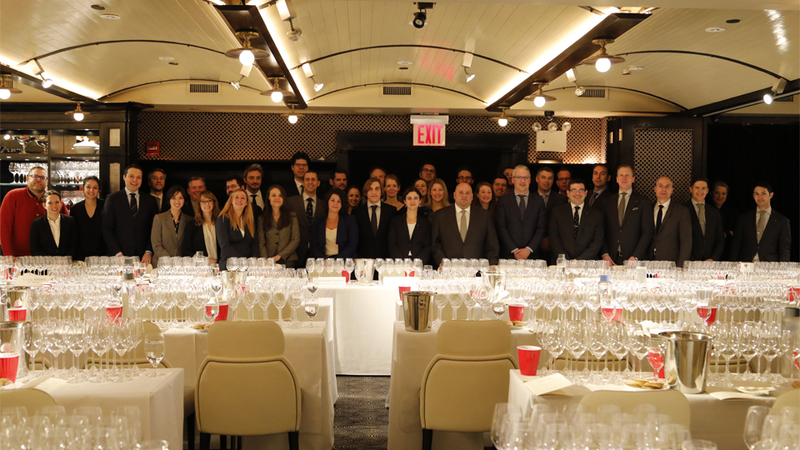 As always, La Festa del Barolo kicks off with the BYOB Gala Dinner, which this year is held on the top two floors at Del Posto, in New York City’s revitalized meatpacking district. With its grand, operatic staircase, Del Posto’s open dining room proves to be an ideal setting for La Festa del Barolo. 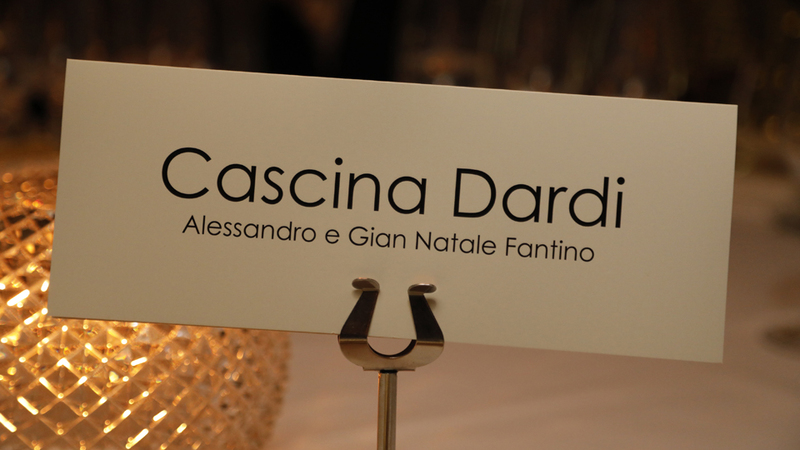 As soon as guests begin arriving for La Festa’s traditional Champagne Bar, the atmosphere is positively electric. It is going to be a great night. Each of the fifteen producers on hand hosts a table and pours two older vintages, while guests are invited to bring bottles from their own cellars to share. Members of the Vinous editorial team, including Steve Tanzer, Josh Raynolds, Ian D'Agata and Alessandro Masnaghetti add their immeasurable insights to the evening's festivities. The generosity that the world’s great wines inspire is truly a thing of beauty. I see a dizzying array of bottles pass by, and yes, I do my best to taste as many of them as possible. These are just a few of the wines I had an opportunity to taste. Over the years I have found that wine lovers who appreciate Piedmont have a similar relationship with Champagne and Burgundy. And so both seem to make a regular appearance at La Festa. Not that I mind. The 1982 Krug Vintage, tasted from magnum, is truly special. Soft, delicate and fully mature, the 1982 still offers a good bit of persistence and nuance. But it won’t last forever. This is about as good as it gets for the 1982. Salon’s 1979 is one of my favorite Champagnes from this historic vintage. The interplay of aromas and textures is captivating, as is the nervous energy that makes the best 1979 Champagnes so compelling. This is a fabulous bottle. The 1976 Dom Pérignon, from magnum, shows all of the power and breath that are typical of this warm vintage. Remarkably vivid for such a big, rich wine, the 1976 is superb from the big bottle. Dom Pérignon’s 1964 is another stunner. Wow. Here it is the wine’s detail and precision that really stand out. Hints of smoke and slate add nuance, but that is selling this majestic Champagne short. The 1964 is a wine to drink and simply enjoy for the pure pleasure it provides, without thinking too much. 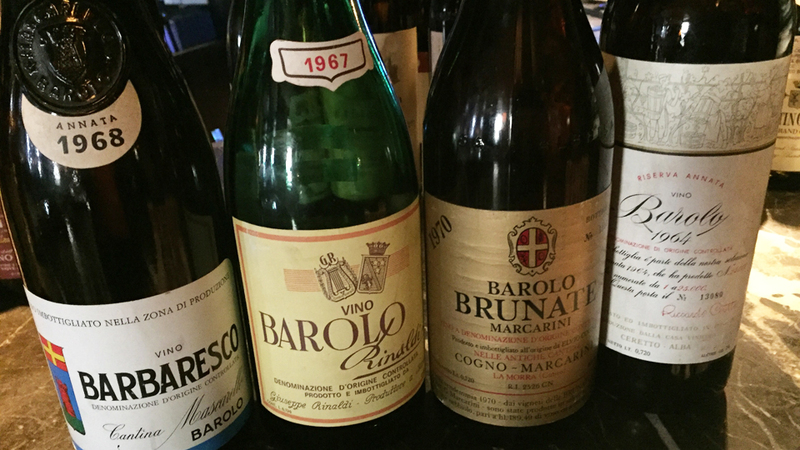 Bruno Giacosa’s 1960s are some of my favorite wines from anywhere in the world. These two 1964s deliver the goods and then some. The 1964 Barolo Riserva Speciale preserves quite a bit of brawn and steeliness for a wine of its age, with distinct earthiness, iron, smoke, rose petal and orange peel overtones that add nuance throughout. I am thrilled to share my last bottle of Giacosa’s 1964 Barbaresco Riserva Santo Stefano with my dearest friends. A desert island wine for me, the 1964 Santo Stefano is simply magical. Sweet, intensely perfumed and utterly haunting in its beauty, the 1964 is sublime. 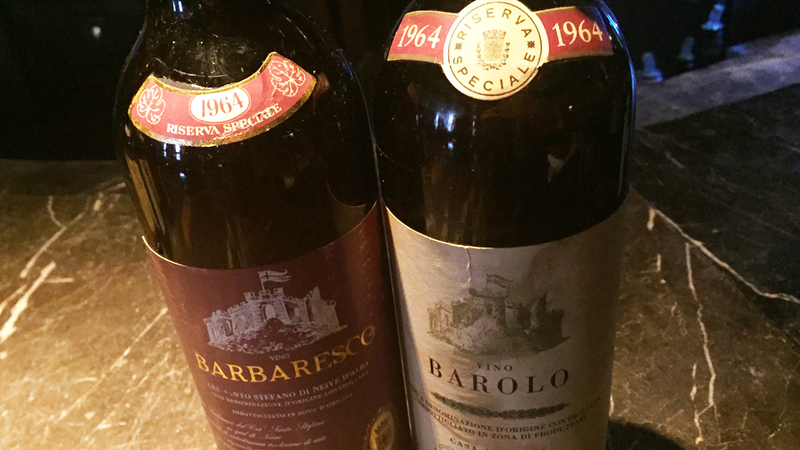 Giacosa’s 1969 Barbaresco remains a vivid testament to what Giacosa was able to accomplish in difficult vintages during his prime. Sensual, silky and inviting, the 1969 is once again simply wonderful. Although not at the level of Giacosa’s very best wines (that would have been impossible in this vintage), the 1969 Barbaresco is lovely. A comparison of two 1961s from Giacomo Conterno is next. The 1961 Barolo is full of dried herb, dried cherry, tobacco and mint. Fully mature, but well preserved, the 1961 is a real joy to taste, and, more importantly, drink on this night. What a gorgeous wine it is. 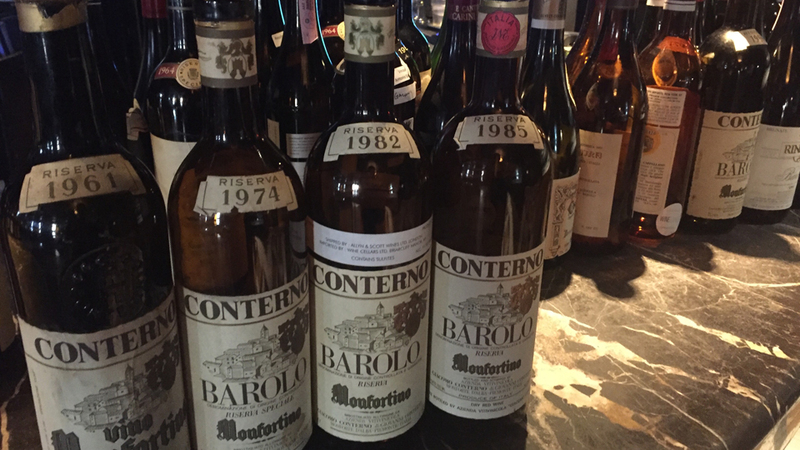 Conterno’s 1961 Barolo Riserva Speciale Monfortino is, not surprisingly, deeper and more intense in all of its dimensions. Iron, smoke, graphite, leather and sweet tobacco wrap around a core of dark fruit in a Barolo that packs a serious punch, especially considering its age. This is a superb bottle. Coche-Dury’s 2011 Corton-Charlemagne kicks off a flight of stellar white Burgundies. Of course, the 2011 is far too young to be at its best. Tonight, it is the translucent purity of the citrus and lemon confit flavors that stands out most. This really needs time to be at its very best. There are no such issues with the 1992 Corton-Charlemagne, a wine that is at a glorious peak of expression. Yellow orchard fruit, chamomile, mint and floral-infused honey are some of the many aromas and flavors that have developed in bottle. This is a stellar Charlemagne from Jean-François Coche. The 2009 Montrachet from Domaine de la Romanée-Conti is pure hedonism. I think I could drink this one wine all night and be perfectly happy. From a warm harvest, the 2009 Montrachet plays off more radiant fruit and silkiness than the more exotic, honeyed notes that are found in years with botrytis. Even so, it is fabulous. 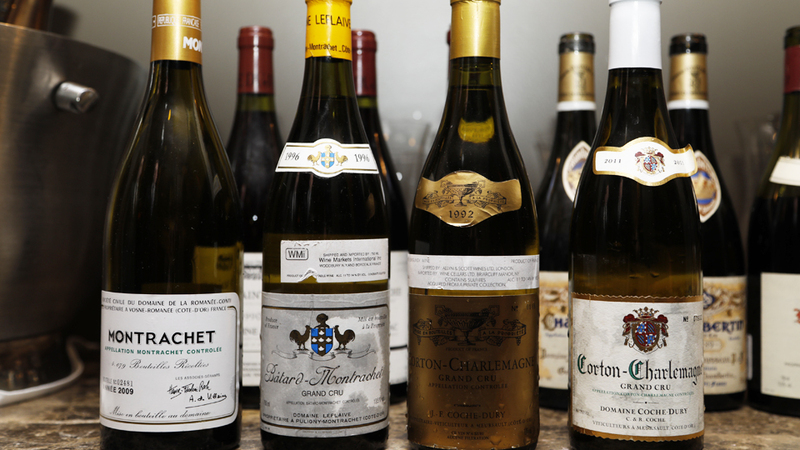 The 1996 Bâtard-Montrachet from Domaine Leflaive rounds out the whites. Sensual, subtle and finely knit, the 1996 has lost some of the energy it had as a younger wine and now speaks with more nuance. In retrospect, the 1996 would have probably shown better with a bit more air or decanting. A trio of exceptional 1990 red Burgundies follows. I have been fortunate to drink Roumier’s 1990 Bonnes Mares on multiple occasions. It is always tremendous, as it is again on this night, with remarkable fruit intensity, depth and silkiness. The red cherry, plum, licorice and menthol flavors are racy to the core. Dujac’s 1990 Clos La Roche is remarkably bright for a wine of its age. Sweet red cherry, chalk and mint add to an impression of energy and tension. The 1990 Clos-Saint-Denis presents a much darker expression of fruit and more structural heft as well. Black cherry, plum, smoke and exotic spice notes abound. This is another fabulous bottle. Domaine de la Romanée-Conti’s 1969 Richebourg is a very pleasant last minute surprise. The sweetness, silkiness and intense perfume that is typical of the best 1969s plays off the Richebourg tannins beautifully in this super-expressive, fabulous Burgundy. What a wine! After those dalliances, it’s time to get back to Piedmont. Castello di Verduno’s 1978 Barolo is super exotic. Pale in color, with lifted scents of rose petal, kirsch, cranberry, amaro herbs and citrus, the 1978 is a Barolo that grabs hold of all the sense and demands attention. This is a pristine bottle. What a thrill it is to drink Bruno Giacosa’s 1989 Barolo Riserva Collina Rionda. In my book, the 1989 Rionda is one of the greatest wines ever made anywhere in the world. The 1989’s aromatic intensity, silky tannins and extraordinary beauty are breathtaking. This bottle is not the very best I have had. Even so, the wine is marvelous. On this night, I find a bit more pleasure in Giacosa’s 1990 Barbaresco Riserva Asili, which is also one of the rarest wines I own. Or owned. 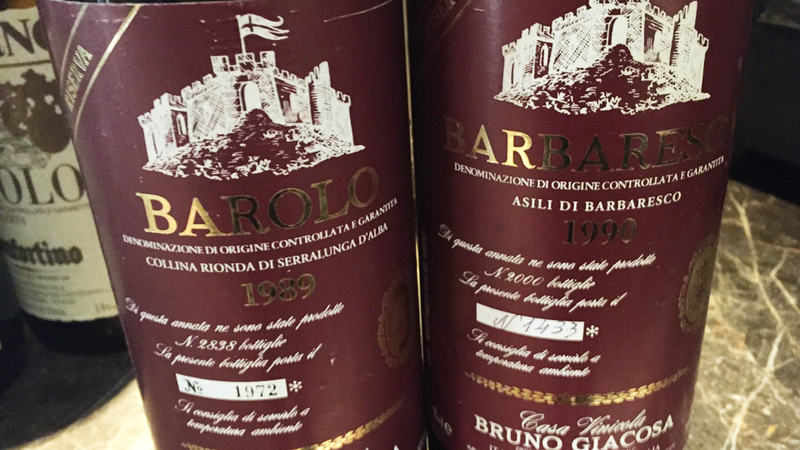 The 1990 is only the second Barbaresco Bruno Giacosa made from Asili, a vineyard he would become much more associated with later on in his career. Powerful, dense and vibrating with energy, the 1990 Asili is simply a thing of beauty. If I had to make a list of the very finest Giacosa wines of all time, the 1971 Barolo Riserva Le Rocche di Castiglione would be at the very top of the list. Thanks to the extraordinary generosity of a Festa attendee, I was able to taste this magical elixir once again. Haunting in its beauty, finesse and aristocratic breeding, the 1971 Rocche is a wine I wish everyone could taste. 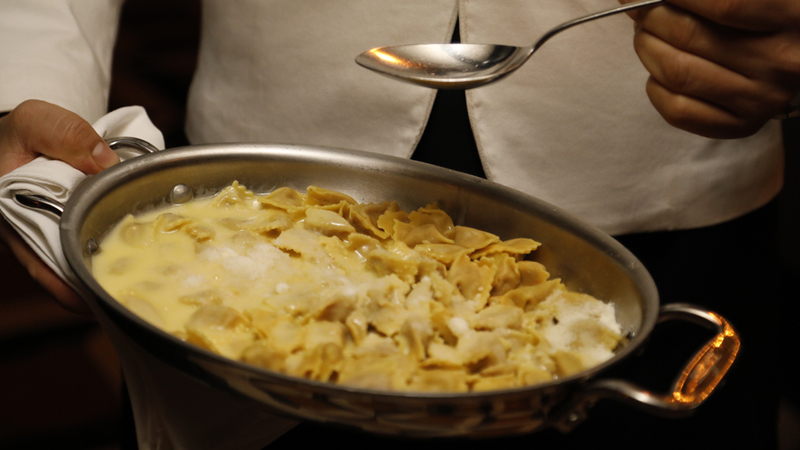 It will leave even the most experienced Piedmont lovers weak at the knees. I can’t say there are too many surprises in Saturday’s 2012 Barolo Masterclass, as these are all wines I chose specifically for this tasting. The collective knowledge in the room as I look out into the audience is both impressive and inspiring, as there are numerous people in the room who could easily moderate this tasting, including our own Ian D’Agata and Alessandro Masnaghetti. 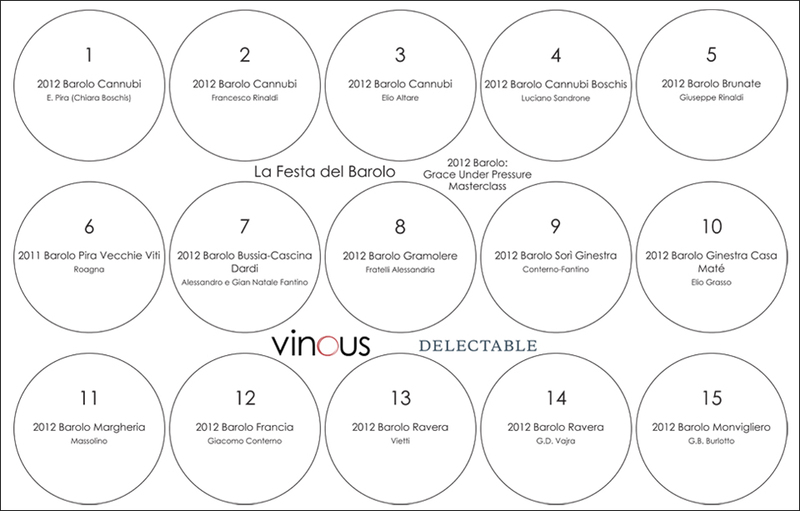 This selection of fourteen 2012 Barolos (the single is 2011 from Roagna, who always bottles late) are not really indicative of the 2012 vintage in Barolo, but rather representative the best the vintage has to offer across all styles. Two thousand twelve remains a very difficult vintage to encapsulate in general terms. Some wines are lighter and more elegant, while others are quite powerful. On this morning, the wines of Chiara Boschis, Alessandro and Gian Natale Fantino, Fratelli Alessandria, Massolino, Vajra and Burlotto are particularly expressive. 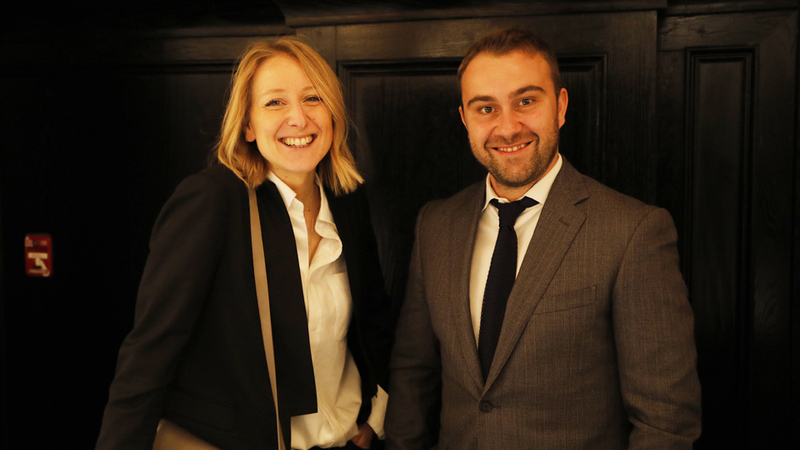 Of course, with such young wines, those impressions can vary literally from day to day. The conversation is lively and spirited as the growers talk about their wines and answer questions from what is surely the most experienced collection of Piedmont lovers anywhere in the world. My job is easy.